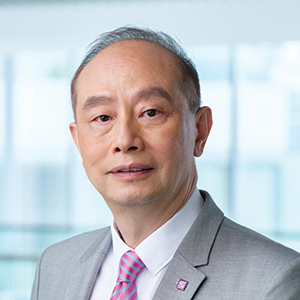 Prof. Waiman Cheung is the Executive Director of The Asia-Pacific Institute of Business, Director of Asian Institute of Supply Chains & Logistics, Director of Centre of Cyber Logistics, Director of Studies in Graduate Studies in Business and Head, Graduate Division of Business Administration. Currently he is also the Professor of the Department of Decision Sciences and Managerial Economics in the Faculty of Business Administration, The Chinese University of Hong Kong. Prof. Cheung holds an MBA and a PhD in Decision Sciences and Engineering Systems from Rensselaer Polytechnic Institute. His research interests are mainly in aviation, logistics, supply chain management and information technology. Prior to joining The Chinese University of Hong Kong, Prof. Cheung had worked as a technical staff for Oracle Systems in the US. He is very keen on working closely with local industries for knowledge transfer and has conducted studies and consulting works for DHL, Airport Authority Hong Kong, Dragonair, Accenture, Sun Hung Kai Properties Ltd., SML Group Ltd., and the Innovation and Technology Commission of Hong Kong. His research interests are mainly in applying IT on logistics and supply chain management. Gang Chen, Waiman Cheung, Sung Chi Chu, and Liang Xu (2017), “Transshipment hub selection from a shipper’s and freight forwarder’s perspective,” Expert Systems With Applications, 83, 396-404. H. Zhou, Waiman Cheung, and Lawrence C. Leung (2009), “Minimizing weighted tardiness of job-shop scheduling using a hybrid genetic algorithm,” European Journal of Operational Research, 194, 637-649. S. Chu, Lawrence C. Leung, Y. V. Hui, and Waiman Cheung (2007), “Evolution of e-commerce Web sites: Conceptual framework and a longitudinal study,” Information & Management, 44(2), 154-164. Waiman Cheung and G. Babin (2006), “A Metadatabase Enabled Executive Information System (Part A): A Flexible and Adaptable Architecture,” Decision Support Systems, 42(3), 1589-1598. Waiman Cheung and G. Babin (2006), “A Metadatabase Enabled Executive Information System (Part B): Methods for Dynamic Multidimensional Data Analysis,” Decision Support Systems, 42(3), 1599-1612. Waiman Cheung, Lawrence C. Leung, and P. Wan (2005), “An Intelligent Decision Support System for Service Network Planning,” Decision Support Systems, 39(3), 419-428. Man Kit Chang, Waiman Cheung, and Vincent Siu-king Lai (2005), “Literature Derived Reference Models for the Adoption of Online Shopping,” Information & Management, 42(4), 543-559. Anming Zhang, George Wang-liang Hui, Lawrence C. Leung, Waiman Cheung, and Yer Van Hui (2004), Air Cargo in Mainland China and Hong Kong. Sophia Wang and Waiman Cheung (2004), “E-Business Adoption by Travel Agencies: Prime Candidates for Mobile e-Business,” International Journal of Electronic Commerce, 8(3), 43-63. Vincent Siu-king Lai, B. K. Wong, and Waiman Cheung (2002), “Group decision making in a multiple criteria environment: a case of AHP in software selection,” European Journal of Information Systems, 137, 134-144. M. K. Chang and Waiman Cheung (2001), “Determinants of the Intention to Use Internet/WWW at Work: A Confirmatory Study,” Information and Management, 39, 1-14. Waiman Cheung, Lawrence C. Leung, and Y. M. Wong (2001), “Strategic Service Network Design for DHL, Hong Kong,” Interfaces, 31, 1-14. Waiman Cheung and H. Zhou (2001), “Using Genetic Algorithms and Heuristics for Job shop Scheduling with Sequence-dependent Setup Times,” Annals of Operations Research, 107, 65-81. Lawrence C. Leung, Waiman Cheung, and Y. V. Hui (2000), “A Framework for a Logistics E-commerce Community Network: The Hong Kong Air Cargo Industry,” IEEE Transactions on Systems, Man, Cybernetics, 30(4), 446-455. Lawrence C. Leung and Waiman Cheung (2000), “An Integrative Decision Methodology for Designing and Operating an Air-Express Courier’s Distribution Network,” Decision Sciences, 31(1), 105-128. Waiman Cheung, M. K. Chang, and Vincent Siu-king Lai (2000), “Prediction of Internet and World Wide Web Usage at Work: A Test of an Extended Triandis Model,” Decision Support Systems, 30, 83-100.